Tickets to the Little Black Dress will be available at the door! Online sales are now shut down. Join us to enjoy a night out with other women who support Habitat for Humanity! 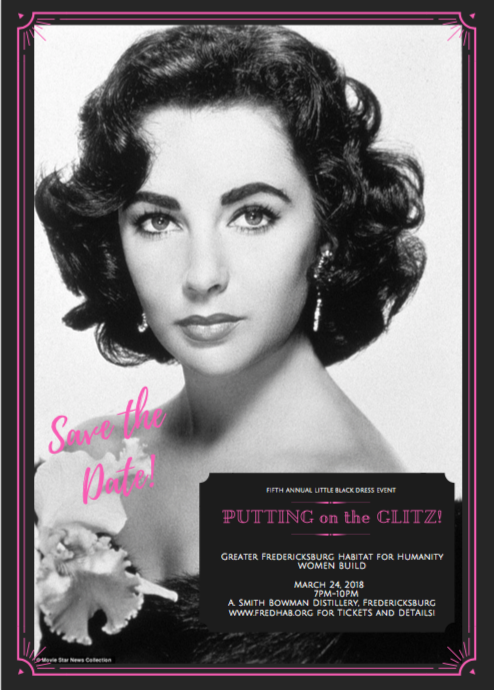 The Fifth Annual Little Black Dress brings together women from all over the region to have an amazing girls' night out while supporting strength, stability, and self-reliance for our neighbors in need. Bring your dancing shoes! Important note: Alcohol will be available at this event. A government-issued ID is REQUIRED to gain entry. There will be no exceptions to this policy. Remember your ID!!!! !